One of the little dramas being played out in California and probably elsewhere has to do with whether the state should adopt the K-12 Common Core standards for mathematics and English developed by a consortium of 48 states, including representatives from California. 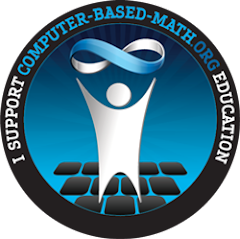 The Sacramento Bee editorialized that the state should adopt the US math standards, agreeing with 19 of the 21 members of the California Academic Content Standards Commission, the Governor's Office and most of the academic community. The editorial referred to California's "mile-wide, inch-deep" math curriculum as a problem the Common Core addresses. In an Op-Ed piece by the two dissenting members in which they claim the new standards "would gut the state's successful program", they also refer several times to "high-performing foreign countries" teaching to something like California's current "mile-wide" curriculum. Several days later in a point-counterpoint debate, the same arguments were raised. Re: "State should adopt U.S. math standards" (Editorials, July 24) and "Proposed math standards unteachable" (Viewpoints, July 24): Both the editorial and op-ed column miss the point. California's current curriculum is indeed "mile wide, inch deep." The reason it is an "inch deep" is because the school day and school year are too short and because students are not required to take mathematics through 12th grade. "High-performing foreign countries" teach the same breadth of material, but they can teach it better because the school day and school year are longer and students have more years of mathematics instruction. The state's current system is not a "successful" program, it is just broken differently. No amount of changed standards or national commission reports will catch us up with the many countries ahead of us in math education; only the realization that, like learning to play well some musical instrument, learning mathematics requires many hours and years of study and practice. Interesting article in the Hindustan Times suggests the answer is yes. I wonder if the same can be said for video games? The GeoGebra 4.0 Beta Release is well worth a look. Among the new features I've found useful are numerous additional statistics functions.